Rod Argent, Chris White and Colin Blunstone talk to John Wilson about their 1968 album Odessey and Oracle. From December 2012. John Wilson concludes his series in which he talks to leading performers and songwriters about the album that made them or changed them. Recorded in front of a live audience at the BBC's iconic Maida Vale Studios. Each edition includes two episodes, with John initially quizzing the artist about the album in question, and then, in the B-side, the audience puts the questions. Both editions feature exclusive live performances. Programme 7. 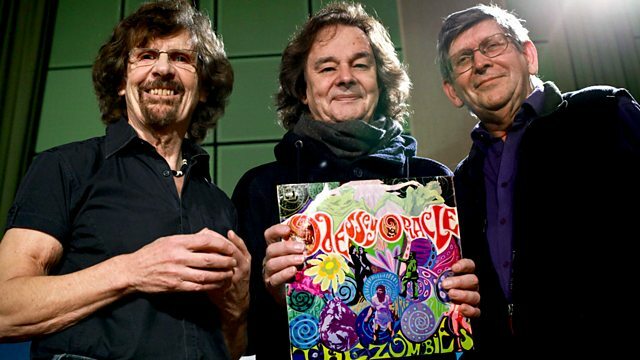 Forty five years after it was recorded, Rod Argent, Chris White and Colin Blunstone recall the making of the Zombies album 'Odessey And Oracle'. When it was released in 1968, after the band had split up, it was indifferently received. But since it has been described as: "one of the great undiscovered works of the psychedelic era" - Pitchfork; "an album that should grace any record collection... essential" - BBC; and "combining the adventure of Sgt. Pepper with the concision of British Invasion Pop" - Rolling Stone. Those who have cited the Zombies as influences include everyone from Courtney Love to the Magic Numbers and from the Arctic Monkeys to Paul Weller. 'Odessey And Oracle' (the title was mis-spelt by the designer of the cover) contained only one stereotypically summer-of-love hit ('Time Of The Season') - the darker tones and dramatic third-person feel of much of the album (including the likes of 'Care of Cell 44', 'The Butcher's Tale' and 'A Rose For Emily') makes it sound ahead of its time. The audience asks questions about The Zombies' 1968 album Odessey and Oracle. Paul Weller talks to John Wilson about The Zombies' album Odessey and Oracle.